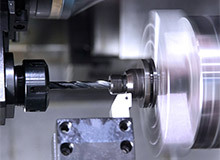 Our CNC machining capabilities at Clearwater Engineering include CNC turning of components up to 10” in diameter. We specialize in machining hard metals such as titanium and alloy steels as well as aluminum alloys used in the aerospace industry. As a trusted name in both government and commercial aerospace sectors, we are certified by suppliers such as Lockheed Martin to produce durable, fracture, and maintenance critical components. Additional services such as kitting and assembly are available, and further simplify the supply chain and minimize total lead times. Quality and consistency are essential to aerospace customers and our reputation for repeatedly providing this level of service has led to continual growth throughout Clearwater Engineering's 25 year history. CATIA V5 software is used for programming machinery and our Zeiss CMM is used to verify that all customer specifications are met. 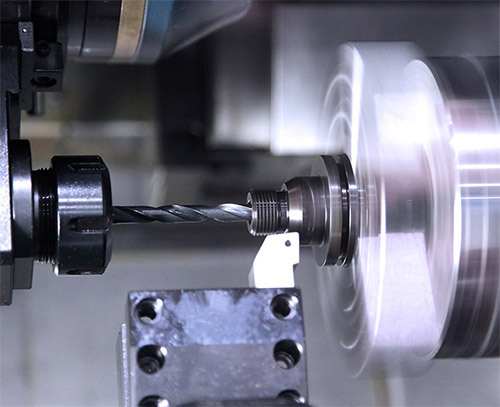 By employing dedicated people and utilizing the most advanced design, machining, and inspection systems, we are able to continually exceed customers' expectations by providing premium quality parts that meet stringent quality requirements. Blanket orders allow customers to receive quantity pricing while effectively managing component inventory. JIT shipping, min-max stocking, or kanban programs can be tailored to meet specific customer needs. For more information about our CNC turning and drilling capability, see the table below, or contact us directly.